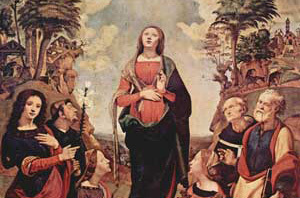 Always occurring on December 8th, the Immaculate Conception Day celebrates the belief that Mary, mother of Jesus, never sinned in all her life. It is a Holy Day of Obligation in Argentina and many other countries. All who celebrate do it in a manner of observance and mandatory church attendance. This is a national holiday so most get the day off in order to observe. According to the bible, Mary's mother was St. Anne to which and angel had spoken to her and said that she would birth a baby who the world would honor and therefore she gave her baby to God and became a saint. This holiday celebrates the birth of Mary, but many scholars argued if they should make it a holiday and it wasn't until Pope Pious IX proclaimed this belief to be an essential dogma of the Roman Catholic Church that it became a national holiday in 1854. Provides the dates for holidays for the calendar year for Argentina.